by British writer, composer and critic Maxim Boon. It’s a playful thought experiment: if you could summon anyone from the mists of time, which historical figures would you invite to your ultimate dinner party? Would you crack open a beer with Beethoven, share a starter with Shakespeare, or perhaps indulge in a dessert with da Vinci? And at this fantasy soiree, what fascinating conversations might unfold during such a meeting of great minds? Of course, until some bright spark invents a time machine, it’s anyone’s guess what repartee might occur between Plato and Picasso, or what witty retort Wilde might shoot at Whitlam. Far less of a stretch, however, would be a conversation between the Romantic pioneers, Franz Schubert and John Keats. They were alive at almost exactly the same time (Schubert was born in 1797, Keats in 1795), but the Austrian composer and English poet never met. And yet, their respective histories reflect such an uncanny likeness – both in their artistic sensibilities and the often tragic beats of their personal lives – one can easily imagine the pair sharing a deep affinity. It’s this tantalising ‘what-if’ that underpins Bright Star, an homage to these two greats of the Romantic period through their music and poetry. Performed by two great artists of Australia’s present, award-winning pianist Simon Tedeschi and revered elder statesman of Australian theatre John Bell, the pair tell Maxim Boon about the process of creating an ode to Keats and Schubert. 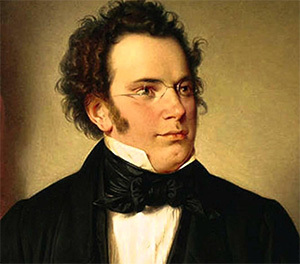 Schubert, as arguably the most important composer of lieder in the Western classical tradition, set hundreds of texts by many great German poets. Where did the idea come from to pair his music with the words of a poet he never met? John Bell (JB): Simon and I had collaborated before on a program that brought together the music of Strauss and the poetry of Tennyson, and I thought it was a very successful combination. So when we came to plan another collaboration, it began very simply by asking, who are two artists whose work we like, and can we make that paring work? Simon is such a superb performer of Schubert, and the lushness and richness of Keats’ poetry, which I think is wonderfully accessible and affecting, seemed a good match artistically. But the fact that these two shared so much in common – they both died much too young, both loved women they couldn’t marry because of their financial circumstances – the tragedy and brilliance of their lives seemed to run in tandem. So that really cemented the idea in our minds. Simon Tedeschi (ST): And the fact that they never met is actually something both John and I found very sad. Both their lives have this similar air of melancholy, because they were both such incredibly luminous geniuses whose lives were cut short. And the fact that they both had such a similar aesthetic to art, were both around at the same time, and were both so affected by nature, both so extraordinarily sensitive in that quintessentially Romantic, sentimental way, the pairing made a lot of sense to both of us. Given that song is the medium that Schubert devoted much of his musical life to, was it a challenge to build a program anchored to his piano works? ST: Well, neither John or I are particularly good singers, so that really did eliminate the option of including any of the lieder! And as you say, that is what he’s best known for, but it’s not necessarily an intractable problem .The soul of all his music is so influenced by song. There's probably only a few piano pieces that are so immortal that people will know them well, but in the same way that you don't have to have an opera stage with Mozart and you don't have to have a symphony orchestra with Beethoven, you can still capture very ineffably the sound and the drama of Schubert without the voice. The Impromptus, for example, were so influential on the composers after him, especially Chopin, and that’s because they capture that drama, that drive and that tempestuousness that Schubert’s lieder are so famous for. John, it’s no overstatement to say you’re one of the all-time great exponents of Shakespeare. Will your incredible pedigree with the Bard’s theatre play a role in bringing Keats’ poetry to life on stage? JB: If one has had as much experience with Shakespeare as I have had over the past 60 years, Keats does come easy! 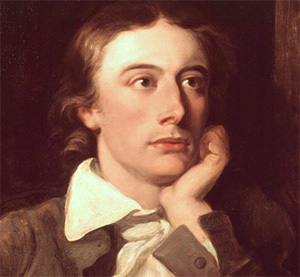 Keats, after all, was a great lover of Shakespeare and quite a few echoes of the imagery and the cadences of Shakespeare can be found in Keats’ poems. But there’s also a very sonorous quality to Keats’ words, that like Shakespeare, are very song-like. So there is a musical connection of sorts too. And I’ve always been a bit of an educationalist – I love being part of shows that can educate an audience. So, having the opportunity to reveal the words of Keats to an audience that may be unfamiliar with them, and in a way that is creative and unexpected, is really a thrill. As you’ve both described, Schubert and Keats shared many similarities in their artistic identities but also the complexities of their personal lives. Both died tragically young – Schubert when aged 31 and Keats when aged just 26. Both also had unrequited feelings for women beyond their social reach. Both suffered from a degree of underappreciation during their lifetimes – Schubert’s music in particular was only really championed comprehensively decades after his death. Is this duality – their greatness in a historical sense vs the struggle of their lives – something that has emerged as you’ve developed this program? ST: Not explicitly – if we had more time it would be wonderful to go into more detail, because it’s a topic I find personally really fascinating. Romanticism – German Romanticism and Austrian Romanticism in particular – in many ways is the highest form of art music. And yet I think it’s also really important to turn one's intellect off and see these artists’ humanity, because we do tend to idolise these men who were very flawed and their flaws were as much a part of their creative impetus as anything. Finding the beauty in Schubert is about not doing too much to him because it just works in such a simple unfolding way. Really over interpreting or over playing it; it really has to be played in the opposite way to so many composers because it just exists on its own basis. You just have to take your ego out of the equation. But that's why I love him so much, because his music transcends the individual in a way but as a result becomes more about the individual and not about the crowd. It's a wonderful paradox with Schubert that there's such intimacy about it, but it's an intimacy that only happens once you transcend the notion of self. Maxim Boon is a British writer, critic and composer based in Melbourne. 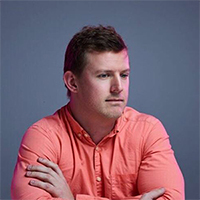 He is the Senior Editor of The Music, the former Online Editor of Limelight Magazine, and a regular contributor to The Age, The Guardian, Time Out, Daily Review and Arts Hub.